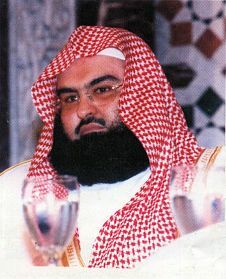 Al-Sudais is the chief of the Imams at the Grand Mosque of Makkah. He memorised the Qur’an at the age of 12, and studied Shari‘ah at Riyadh University, Imam Muhammad bin Saud Islamic University, and Umm al Qura University. Al-Sudais is also popular for his sermons and stance on peaceful conflict-resolution. Additional Information: In 2005, he was named by the Dubai International Holy Quran Award (DIHQA) Organising Committee as its 9th annual “Islamic Personality Of the Year” in recognition of his devotion to the Quran and Islam. In 2017, Al-Sudais supervised the film One Day In The Haram, a film about the Haram in Makkah, told through the eyes of the workers.